1.73 MB, 1920x1080px, 5.2 secs. 40.73 MB, 3840x2160px, 5.2 secs. 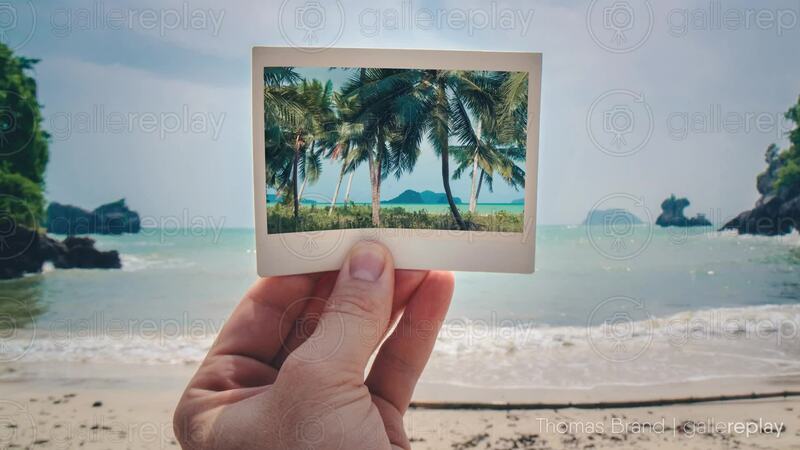 Palm trees and waves move inside a polaroid picture, held up by a man's hand at a beach.